The University of Louisiana at Lafayette has concluded its year-long, campus-wide effort to study its athletics program and now invites the public’s input. The self-study is part of the NCAA Division I athletics certification program. Specific areas covered in the study include: academic integrity, governance and commitment to rules compliance, as well as a commitment to equity and student-athlete well being. A public hearing will be held April 18 at 1:30 p.m. in Moody Hall, room 103. The public is invited to share input on the three specific areas of the study. The study can be viewed online beginning April 11, 2008, at http://apfd.louisiana.edu/NCAA. While academic accreditation is common in colleges and universities, the NCAA program focuses solely on certification of athletics programs. Following a pilot project, the Division I membership overwhelmingly supported the program and its standards at the 1993 NCAA Convention. 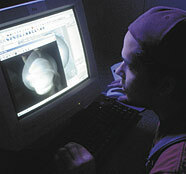 UL Lafayette successfully completed its first certification self-study in 1999. At the 1997 Convention, the Division I membership voted to change the frequency of athletics certification from once every five years to once every 10 years and to require a five-year interim-status report. Thus, the current self-study is the second in the certification process for UL Lafayette. The certification program's purpose is to help ensure integrity in the institution's athletics operations. The committee responsible for the study included UL Lafayette President Dr. Ray Authement and Dr. Carolyn Bruder, steering committee chair, various members of the university faculty and staff, as well as athletics department personnel, alumni and community leaders. The University will submit its self-study to the NCAA by May, 1, 2008. In November 2008, an external team of reviewers will conduct a two-day evaluation visit on campus. Those reviewers will be peers from other colleges, universities or conference offices. That team, which will be on campus during the Fall 2008 semester, will report to the NCAA Division I Committee on Athletics Certification, another independent group. The committee will then determine the institution's certification status and announce the decision publicly. The three options of certification status are: (a) certified; (b) certified with conditions; and (c) not certified.